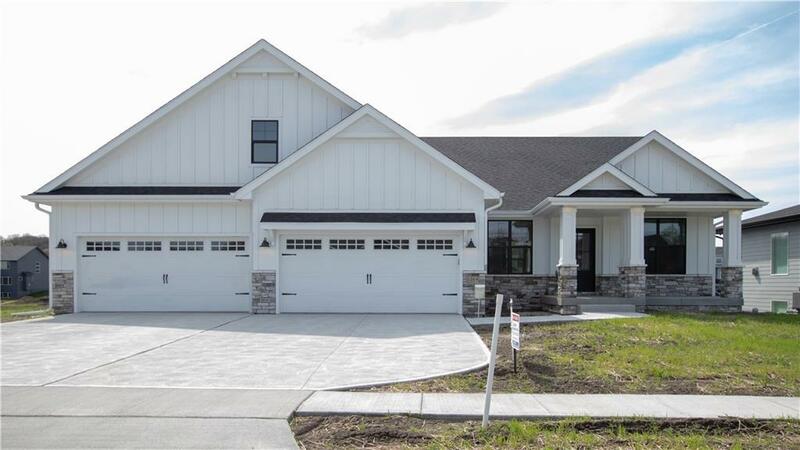 First floor features in this quality built Highland Development include the stylish, open-concept, kitchen that flows through to the expansive great room. The first floor master suite, complete with tray ceilings, windows overlooking the water, generous closet space and a tastefully done master-bath ensures parents have a private space of their own. The lower level houses three additional bedrooms and another large family room great for entertaining. Adjacent to that, behind the barn-doors, is a separate room that could be used as a theater room, a craft room or bar area. There is even plenty of room for all of the family's cars in the attached 4 car garage! This really remarkable home is close to Woodland Hills Elementary in the highly acclaimed Waukee School District. Open every Sunday afternoon!